How far are the Casitas from the Jibe City Windsurfing center at Sorobon on Lac Bay? We are a 25 minute walk, about 12 minutes by bicycle, or 3 minutes by car to Jibe City. The actual distance is 2.2 km (about 1 1/3 miles) by road. Although Lac Bay lies directly across the street from the Casitas, the road is the only practical way to get to the windsurfing center. See our location on Kaminda Sorobon here. I'm not an advanced windsurfer. Will I be in over my head at Lac Bay? Not at all. While Lac Bay produces many of the world's top professional windsurfers, conditions are ideal for improving your windsurfing skills regardless of your current ability. I see a beach with tables and shelters directly in front of the Casitas. Can I swim at the beach? The beach is indeed on Lac Bay, but it is shallow and populated by protected sea grass habitat, and therefore not suitable for swimming. Swimming is available at Sorobon, 3 minutes away. What dining out opportunities do you recommend? Just a few steps from our casitas you'll find fine dining at the newly renovated Foodies restaurant. It's open Wednesdays through Sundays from noon to 9 pm. Nearby, at Sorobon (3 minutes), is the casual and popular Hang Out Bar. "Zeezicht restaurant has very expensive menu but has excellent and cheap lunch special. We had such a great dish of fish and chips/rice with excellent salsa-ish sauce for $7. 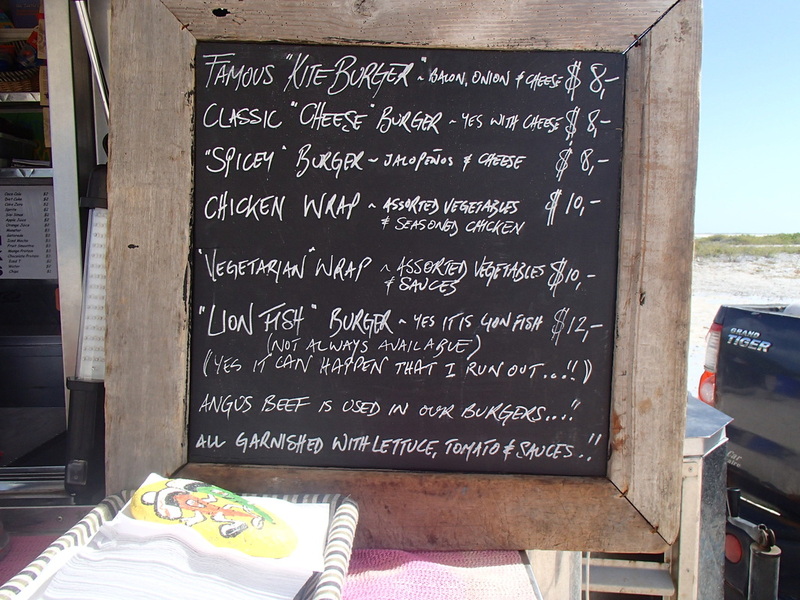 So if you go there check out the specials menu at the entrance. Overall it was our number 1 favorite in terms of price and taste trade off." "Between 2 Buns has great sandwiches. The bread is awesome. Some sandwiches like crab salad is about $7. Otherwise it may get around $11 or $12 per sandwich." "Plazita Limena number 1 in terms of taste. FANTASTIC food for dinner. Authentic Peruvian restaurant in the main street (almost at the beginning on the right hand side as you go up the one-way). If you go there make sure to sit under the fans (AND NO WHERE ELSE) because of mosquito. I had the sane sandwich there twice (chicken with curry and pine apple) with fries for about $14 if I remember well. Baris had an authentic Peruvian dish of lamb shank, rice, and a white bean puree for about $22 for dinner. It is on the expensive side but I can't tell you how good the food is. They opened this past November. The restaurant doesn't have a view but everything is worth the taste in my opinion." 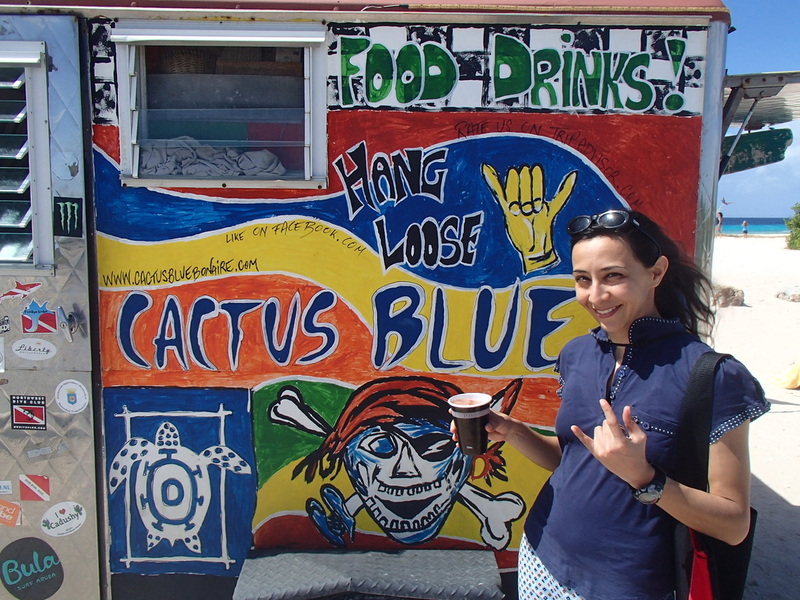 "Cactus Blue I am attaching their menu and my photo with the cart ;) We had the veggie wrap, spicy burger and lionfish. Lionfish finishes by noon according to reviews (I didn't find it overwhelmingly spectacular by the way but overall it was very good). I liked spicy burger. Also make sure to try the $3 passion fruit/orange smoothie over there." What other accommodations are available in the vicinity? Because of the protected status of the Bonaire National Marine Park, there are only a few services and rental accommodations in the vicinity. Practically next door to our Casitas is Lac Bay Villa, which can accommodate larger groups of guests. Where can I purchase groceries? Van den Tweel supermarket is 7.2 km (4.5 miles) from the Casitas; by car it takes 8 to 9 minutes. Up that same street (Kaya Industria) is another large supermarket, Voordeelmarkt Warehouse. I understand that Bonaire is a mecca for windsurfing, but what else is there to do? Bonaire is also a premier scuba destination, with 63 designated dive sites, plus another 26 on the island of Klein Bonaire. Many of these sites are also suitable for snorkeling. Mountain biking is also popular, as well as kite surfing. 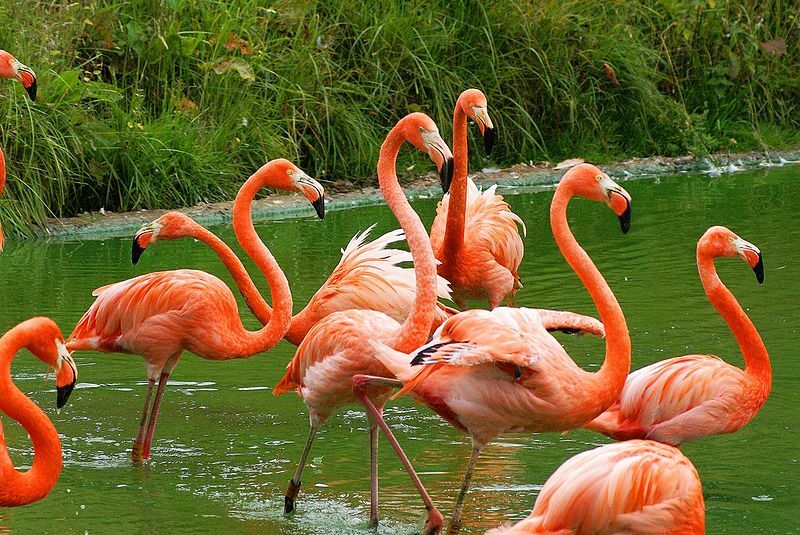 Birders enjoy the island too; for example, Bonaire is the home of large populations of the American Flamingo (also known as the Caribbean Flamingo). Guests of our casitas have also snorkeled and hiked in the national park. Below are snorkeling photos taken by one of our Casita owners when he wasn't windsurfing.